Sting's thinking suicide. Simple as that. 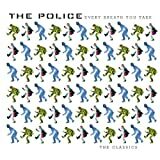 The Police's, "Every Little Thing She Does Is Magic"